Go behind the scenes of the spectacular purple view! 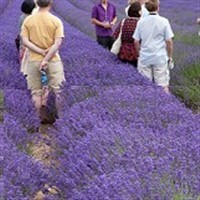 From the very end of June, through July, each tour explains the processes of lavender production, from the fields to the distillery, with an expert Castle Farm guide. Each tour takes approximately 1 hour 15 mins. There is a small amount of walking from the shop out to the fields, through the farmyard to the distillery and back to the shop (about 1/2 a mile in total, and some seating is provided at the stopping points) - at the end of the tour a lavender biscuit and apple juice will be provided. 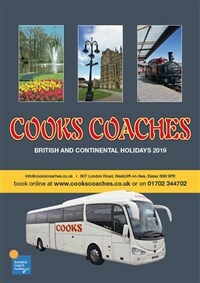 We will then take you to the picturesque town of Tonbridge, a market town since the Middle Ages that still buzzes today, where you have time to explore and have lunch.